Look at that puppy dog face. 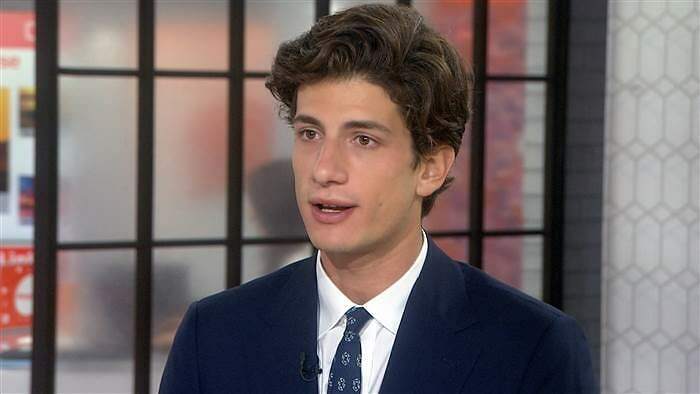 This morning, JFK's only grandson Jack Schlossberg sat down with NBC Today for his first live interview. Alongside his mother, former Ambassador to Japan Caroline Kennedy, the 24-year-old spoke of this weekend's John F. Kennedy Profile in Courage Award, which will be presented to Barack Obama. One of the last legs of a political dynasty with an insanely adorable head of hair that's surely destined for success, the recent Yale grad is about to enter Harvard Law School this fall. So yeah, swoon. Sweet, smart and humble, as the interview shows, will we see the Schlossberg name on a ballot anytime soon? “I’m inspired by my family’s legacy of public service. It’s something that I’m very proud of, but I’m still trying to make my own way, figure things out, so stay tuned.” Oh, that we will. Click through for four fun facts about America's soon to be most eligible bachelor!